There is a complex relationship between obesity and bullying. While overweight kids are frequently targeted for abuse at school, there also are instances where they are the ones who engage in bullying others. Still, other obese kids are trapped in a bully-victim cycle where they are both victim and perpetrator. Clearly, there also is an uncomfortable cause-and-effect to the bullying experienced by obese kids. In some cases, bullying can even contribute to childhood obesity as food often becomes a comforting distraction from the abuse they are forced to endure. While there are many reasons why bullies target certain individuals for abuse, overweight kids are a particularly easy mark given that society tends to disapprove of and mock obesity, both actively and discreetly. Even if an obese kid has all of the traits that typically discourage bullying such as good social skills or a strong academic standing, he or she may still remain at risk. This is due, in part, to the fact that bullies can "sense" vulnerabilities in others and are more than willing to exploit those things. Consequently, in a body-conscious society such as ours, even a well-adjusted, overweight kid can suffer self-esteem issues that bullies are all too eager to prey upon. Moreover, the amount of abuse a child receives is often directly related to his or her weight. A 2015 study in Italy involving 147 elementary school kids concluded that normal-weight and overweight children were far less likely to be bullied than their obese or severely obese counterparts. 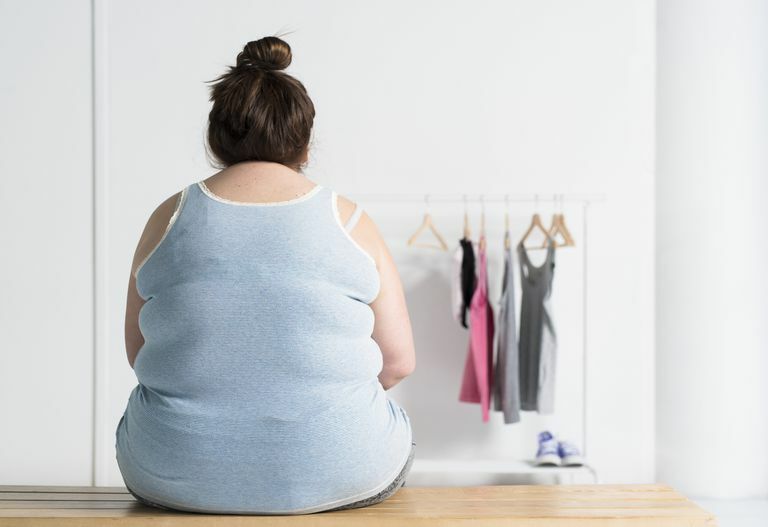 44.4 percent of severely obese children experienced name-calling compared to only 10.1 percent of normal weight children and 20.6 percent of overweight kids. 21 percent of severely obese children experienced physical victimization compared to only 5.4 percent of normal weight children and 8.7 percent of overweight kids. 18.5 percent of severely obese children were excluded from group activities compared to only 5.4 percent of normal weight children and 10.4 percent of overweight kids. The reasons why obese kids become bullies are even more complex. Most studies suggest that obese children bully because they are either reflecting the same behavior they've experienced or they are acting preemptively to discourage others from bullying them. Rather than seeing their weight as a deficit, obese bullies will use their size to their advantage, allowing them to wield more power over a smaller victim. With that being said, overweight bullies are often emotionally conflicted, exhibiting aggression on the one hand while fighting feelings of inadequacy on the other. This deep-seeded conflict can lead to impulse control problems in which they may lash out at others in response to emotions they can neither fully understand or control. This is, perhaps, best illustrated in the same study mentioned above which found that severely obese children were twice as likely to be bully-victims than normal weight kids but that normal-weight kids were four times more likely to be bullies than severely obese ones. This suggests that aggression, at least in obese kids, is both a cause and effect of bullying behaviors. This cause-and-effect can also lead to contradictory behaviors. For example, while food may be a source of comfort at times of crisis, it can also serve to confirm feelings of hopelessness and self-loathing in children who are severely overweight. Breaking the bullying cycle is difficult in even the best of circumstances. With obese children, it may require you to deal with the emotional issues related to weight, as well as those entirely unrelated to weight. Remind your child that he or she is not to blame. Talk to your child about how he or she is feeling. Bullying can bring up emotions that extend well beyond the abuse itself. Speak to your child's teacher about the bully instead of confronting the bully's parents. Go to the principal if the teacher doesn't act to stop the bullying. Teach your child to be assertive and to stand up for himself or herself verbally, not violently. Build your child's confidence by praising his or her strengths rather than pointing out any flaws. This may be especially true for overweight kids. Take bullying seriously. Do not treat it as a phase your child is going through. Talk to your child to find out why he or she is bullying. Be a good example. Children will often act out the behaviors they see at home. Teach empathy. If you see examples of people being bullied on TV or in books, talk with your children about it. Seek professional help if your child has emotional issues that you are unable to resolve yourself. Overall, there is a complicated relationship between obesity and bullying. By educating yourself about the connections between the two, you can better understand how to intervene with care and compassion in bullying situations involving overweight kids. Bacchini D, Licenziati MR, Garrasi A, et al. Bullying and Victimization in Overweight and Obese Outpatient Children and Adolescents: An Italian Multicentric Study. Gillison F, ed. PLoS ONE. 2015;10(11):e0142715. doi:10.1371/journal.pone.0142715. National Crime Prevention Council. What to Teach Kids About Bullying.